Mt. 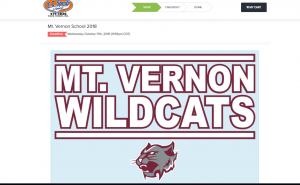 Vernon High School has partnered with adidas and E.I.Sports! 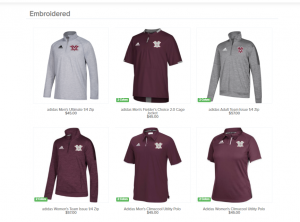 We will gradually be making the switch to having game, practice and sideline apparel all be adidas items. With that, it is time to offer “new” adidas/MVHS brand items! This sale closes on Wednesday, 10/17/18. 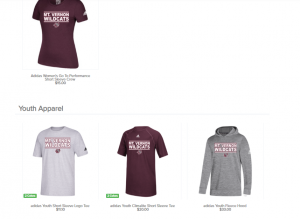 Items will be processed and delivered to the Athletic Department after the conclusion of the sale. Tentatively, 10/21 will be the delivery date! 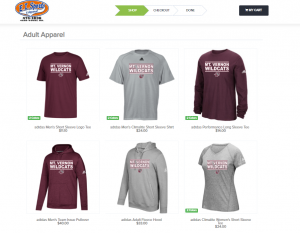 Be sure to include your phone number and email address at the time you place your order so we can make contact with you and get your items to you.